Hong Kong A hand grenade was found among a shipment of French potatoes when they were unloaded at a food processing factory. Workers called the police who responded to the Calbee snacks factory with a bomb disposal team to dispose of the UXO. 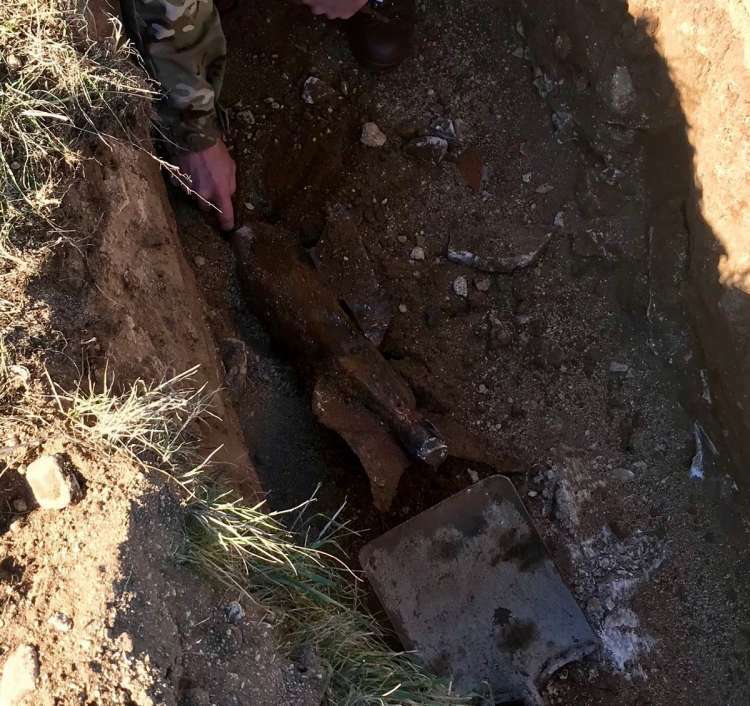 Lincolnshire, United Kingdom Flights at RAF Cranwell were temporarily suspended after a WWI bomb was discovered during construction near a runway. Needles, California A man located a UXO in a San Bernardino garage, according to the San Bernardino County Sheriff's Department. Upon inspection, deputies called in the support of the Sheriff's Arson/Bomb Detail for identification and removal. The bomb squad identified the munition as a live WWI French artillery round (specific type not reported). The bomb squad safely removed the UXO from the property for disposal. How the UXO ended up in the garage is a mystery. Catch of The Day, Unexploded Grenade? 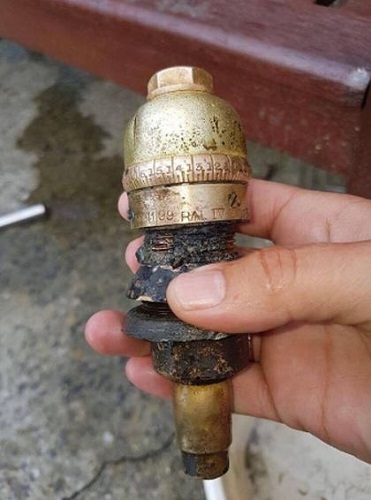 Mansfield, United Kingdom A 12-year old boy magnet fishing underneath a busy bridge pulled up an old grenade from the river. Intrigued by the item, the boy decided to bring it home with him to show his parents. When the parents looked at the item, they immediately called the police. Somerset, United Kingdom Emergency services were called to Berrow Beach yesterday by lifeguards after a beachgoer found a fuze with a metal detector. The Burnham Coastguard responded and sent pictures of the item to the Royal Logistics Corps Bomb Disposal. 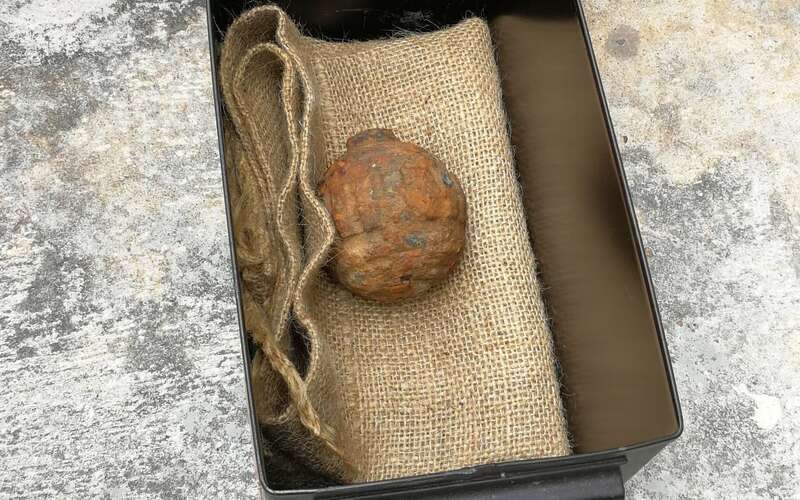 Limerick, Ireland Army EOD rendered safe a WWI-era hand grenade which had forced the closure of Thomond Bridge in Limerick. Experts removed the device from the River Shannon during low tide. Two EOD technicians were escorted by members of Limerick Marine Search and Rescue Service (LMSRS) by boat and a jet ski to location of the grenade underneath one of the bridge's archways. 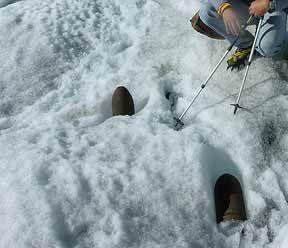 The UXO was then transported from the scene to an of-site location for a controlled explosion. 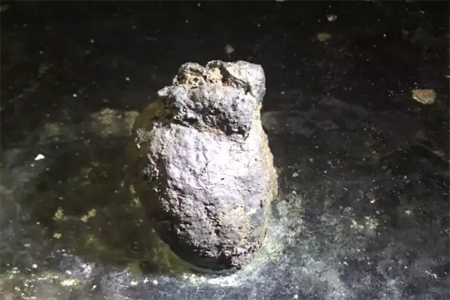 This is not the first UXO find in the area as several cannonballs were also discovered in the area during a recent bridge maintenance project. Donegal, Ireland A family's beachcombing adventure became a bit stressful when they realized a souvenir brought home from their excursion was actually a UXO. They contacted authorities and an Army EOD unit responded to deal with the WWI artillery shell. The area was cordoned off and local houses were evacuated during assessment of the munition. The shell was transported to a secure military location for further examination and disposal.